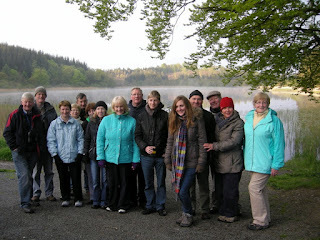 The group met up at the car park of the castle-lake woods at 4.30am on Sunday 20th May. The sun was already beginning to rise, and the song of blackbirds and song thrushes and the sight of mist rising over the lake made for a very atmospheric start. We enjoyed the song of a variety of birds including sedge warbler, willow warbler, chiffchaff but possibly the most impressive singer was the blackcap, quite a few of which were noted during the walk. We got great views of a pair of bullfinches and also some lovely views of a goldcrest before pausing along our route to observe the lakeside birds - a mute swan on the nest along with good numbers of great crested grebes, one of which was observed on a floating nest. 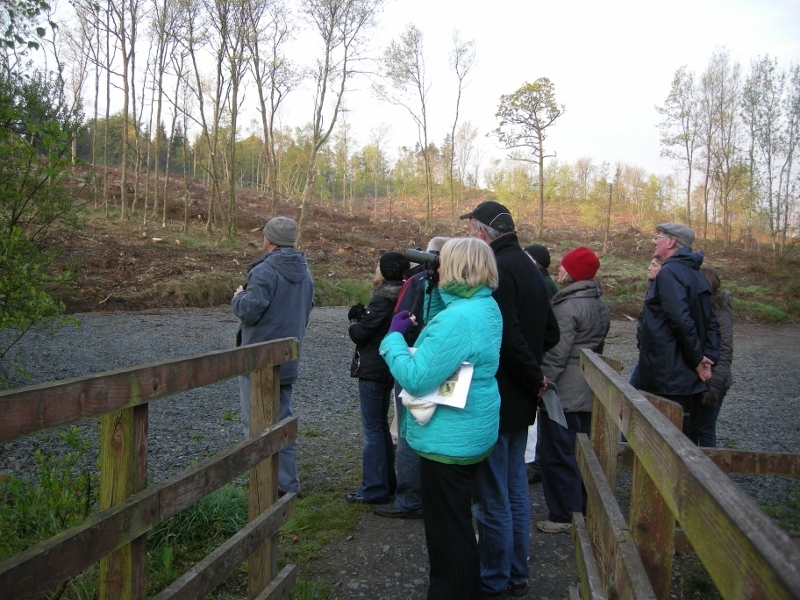 The real treat of the morning was a sighting of a red squirrel which distracted our attention away from the birds for a few moments. 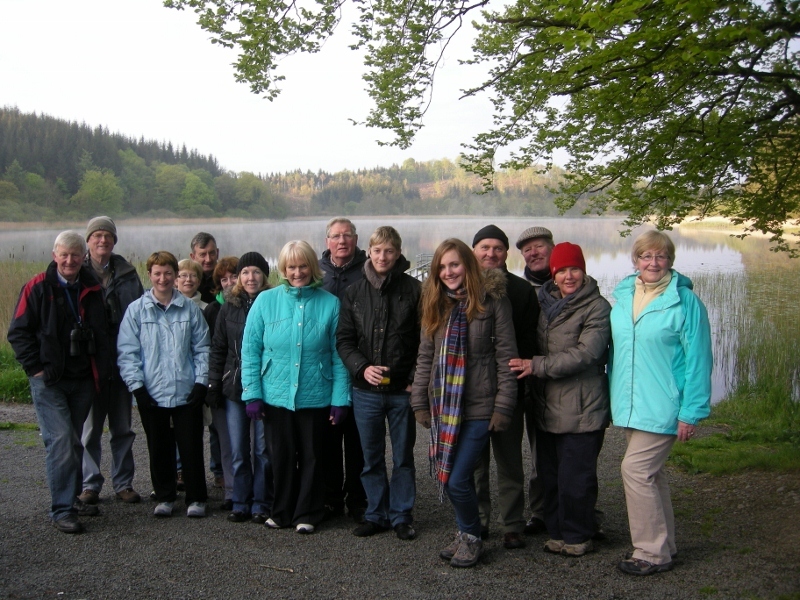 All agreed that a walk in the forest at dawn is certainly a worthwhile experience! We enjoyed a nice cup of coffee and a good chat before heading home. A special thank you to all who brought along refreshments.